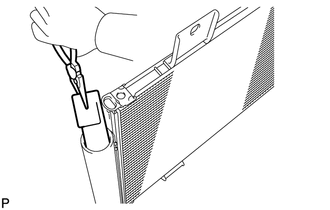 (a) Using pliers, install a new cooler dryer to the modulator. 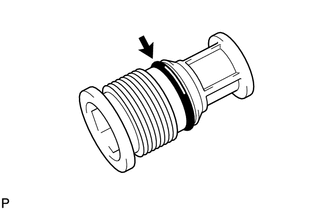 (b) Apply sufficient compressor oil to the O-ring and fitting surfaces of the cap. 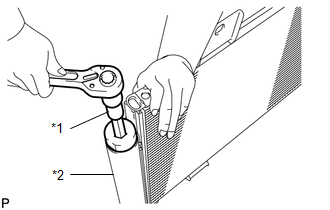 (c) Using a 14 mm straight hexagon wrench, install the cap to the cooler condenser core. Keep the O-rings and O-ring fitting surfaces clean from dirt or any foreign objects.